Why should we celebrate the Fourth of July? Because America — as the greatest product of Western civilization — is the greatest country in the world. But it cannot remain great unless we understand the causes of its greatness. In this age of diversity-worship, it is considered axiomatic that all cultures and countries are equal. Western culture, it is declared, is in no way superior to that of any other, not even to tribes of cannibals. To deny the equality of all cultures, claim the intellectuals, is to be guilty of the most heinous of intellectual sins: “ethnocentrism.” It is to flout the “sacred” (and false) principle of cultural relativism. I disagree with the relativists — absolutely. 1. Reason. The Greeks were the first to identify philosophically that knowledge is gained through reason and logic as opposed to mysticism (faith, tradition, revelation, dogma). It would take two millennia, including a Dark Ages and a Renaissance, before the full implications of Greek thought would be realized. The rule of reason reached its zenith in the West in the 18th century — the Age of Enlightenment. “For the first time in modern history,” writes one philosopher, “an authentic respect for reason became the mark of an entire culture.” America is the epitome of Enlightenment thought. 3. Science and Technology. The triumph of reason and rights made possible the full development and application of science and technology and ultimately modern industrial society. Once man’s mind was freed from the tyranny of religious dogma, and man’s productive capacity was freed from the tyranny of state control, scientific and technological progress followed in several interdependent steps. Men began to understand the laws of nature. They invented machinery. They engaged in large-scale production, that is, the creation of wealth. This wealth, in turn, financed and motivated further invention and production. As a result, horse-and-buggies were replaced by automobiles, wagon tracks by steel rails, and candles by electricity. At last, after millennia of struggle, man became the master of his environment. The result of these core achievements was an increase in freedom, wealth, health, comfort, and life expectancy unprecedented in the history of the world. 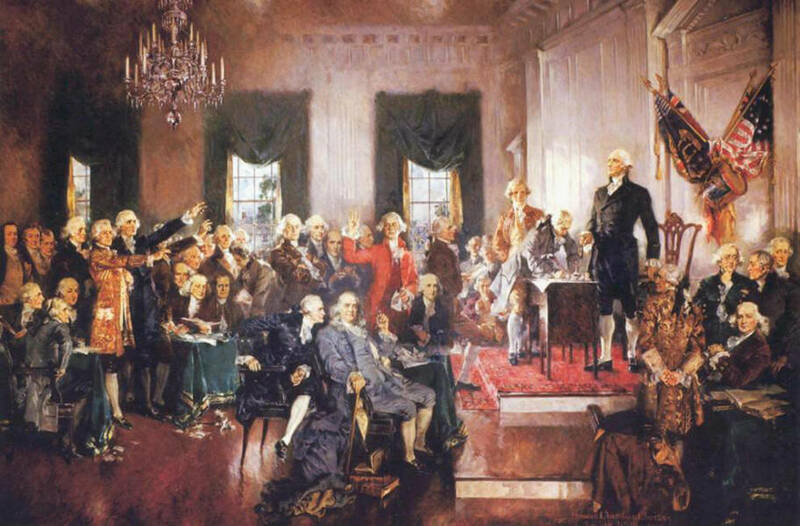 These Western achievements were greatest in the country where the principles of reason and rights were implemented most consistently — the United States of America. In contrast, it was precisely in those (third-world) countries which did not embrace reason, rights, and technology where people suffered (and still suffer) most from both natural and man-made disasters (famine, poverty, illness, dictatorship) and where life-expectancy was (and is) lowest. It is said that primitives live “in harmony with nature,” but in reality they are simply victims of the vicissitudes of nature — if some dictator does not kill them first. The greatness of America is not an “ethnocentric” prejudice; it is an objective fact. This assessment is based on the only proper standard for judging a culture or a society: the degree to which its core values are pro- or anti-life. Pro-life cultures acknowledge and respect man’s nature as a rational being who must discover and create the conditions which his survival and happiness require — which means that they advocate reason, rights (freedom), and technological progress. Despite its undeniable triumphs, America is by no means secure. Its core principles are under attack from every direction — by religious zealots who want to undermine the separation of church and state, and by its own intellectuals, who are denouncing reason in the name of skepticism, rights in the name of special entitlements, and progress in the name of environmentalism. We are heading rapidly toward the destruction of our core values and the dead end of nihilism. The core values and achievements of the West and of America must be asserted proudly and defended to the death. Our lives depend on them. Copyright (c) 2004 Ayn Rand(r) Institute. All rights reserved.